We are dedicated to giving you the most creative, professional, and interactive development, where we give life to your vision. Edmonton is the home of our boutique web development company, Snowball Media. We provide a wide range of custom development services, such as mobile apps, content management systems, web apps and more. These are all made possible by our outstanding professional development team. We craft engaging websites, databases and deliver successful results for our clients. Our company understands that your project is central to your reputation, identity and how customers perceive you. So our company works hard with organizations and corporations to create an exceptional product formulated for you. 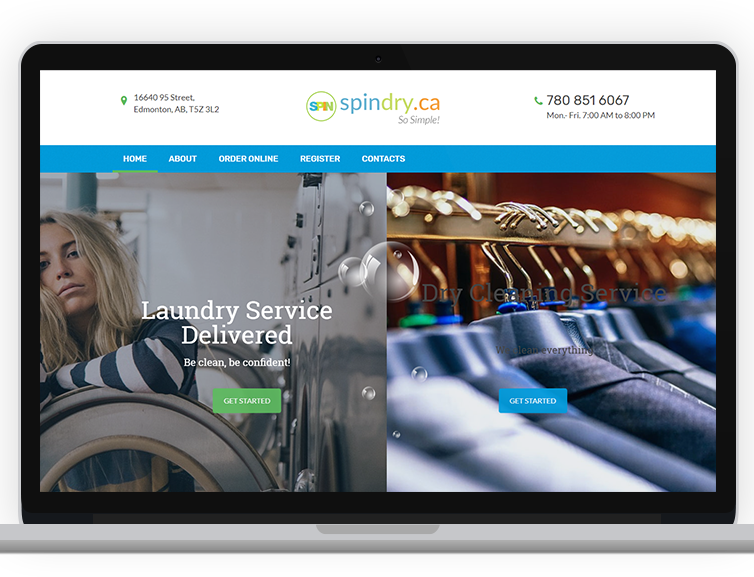 We were hired to create and develop an app for the use of consumers to book, pick-up and deliver dry cleaning services. What we did; Design, Development, SEO, CMS, Mobile Website, Newsletter. All website should have a goal and a define purpose, and that should translate into a definable value to your business. Your website should be converting leads into sales 24 hours per day, 365 days per year. How many leads did your site generate last night?